We went to Michael’s to buy picture frames, my dear wife Karen and I. One piece in the Wire Words display caught our eye. 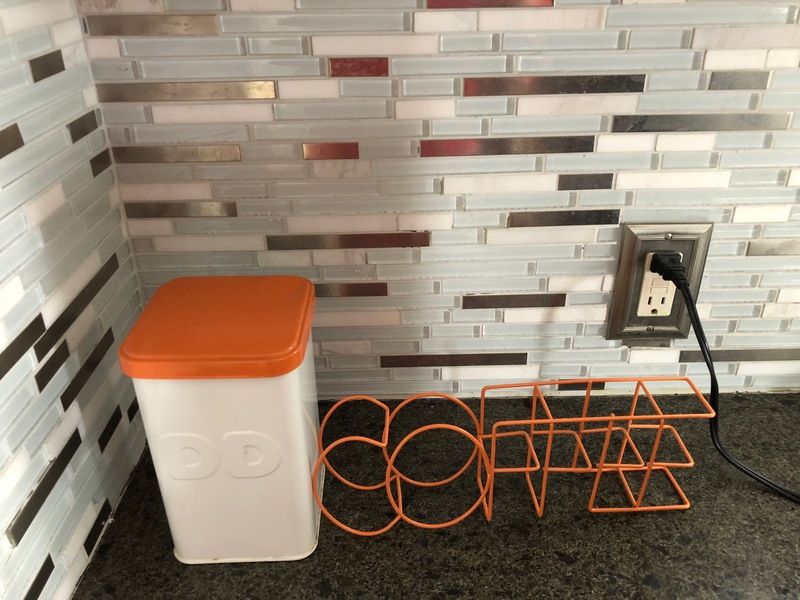 That Coffee piece fits well with our Dunkin‘ Donuts canister of daily ground, we think. i like the look of that, love the orange. every time i go to michael’s, i find something i hadn’t planned on, but love . The surprises are outstanding toppers to the trip, Beth. They got extra perky when they found each other, MBC.